Wooden decorated Easter eggs are a fun alternative to traditional Easter egg decorating for kids and adults. Decorated wooden Easter eggs can become treasured keepsake crafts that you can re-use year after year. 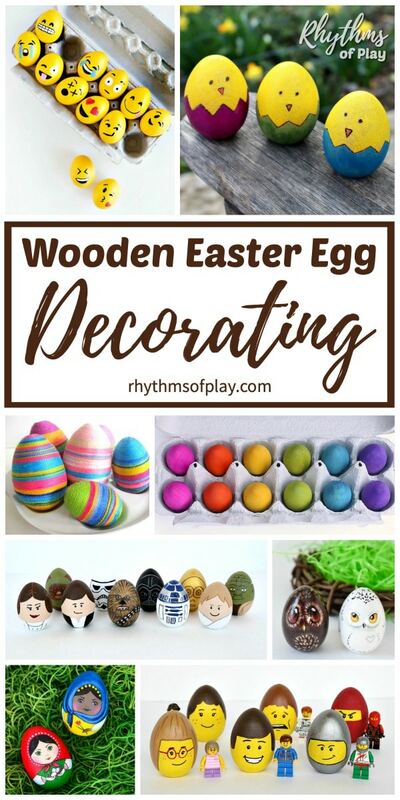 Try any of these wooden Easter egg decorations and Easter egg crafts and with your kids for Easter or the Spring Equinox. Decorated Wooden Easter Eggs are better for both our children and the environment than plastic eggs filled with candy on Easter morning. 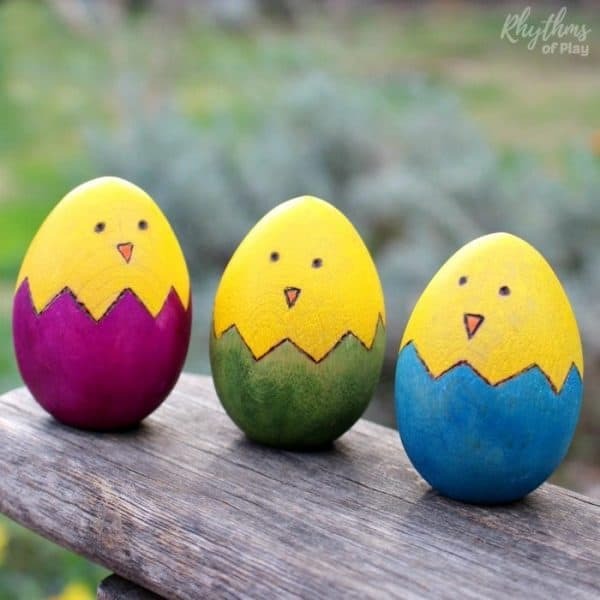 Kids love to hunt for wooden decorated Easter eggs, like these cute Easter Chicks, as much as they like to find them in their Eco-Friendly Easter Baskets. Wooden eggs also make gorgeous DIY spring home decor and look lovely displayed on spring nature tables. Many people also choose to make them as a part of their Spring Equinox Celebrations. There are so many beautiful ways to make wooden decorated eggs. Try your hand at some of the amazing wooden Easter egg crafts and wooden Easter egg decorating ideas below, or get inspired to come up with your own decorated wooden Easter eggs. 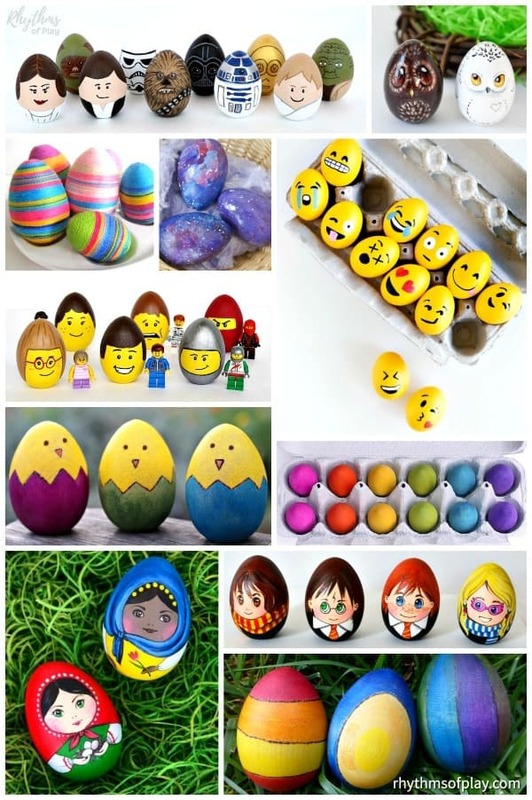 Related: Easy Easter Art Projects Kids Love! Click on the creator of each wooden Easter egg craft idea listed below to see the full tutorial for each of the Easter egg decorating ideas. Painted Wooden Eggs | Fireflies & Mudpies – This craft uses smaller robin eggs, but the technique could be done on a wooden egg of any size. The egg crafts below were not made using wooden eggs by the crafters that created them. 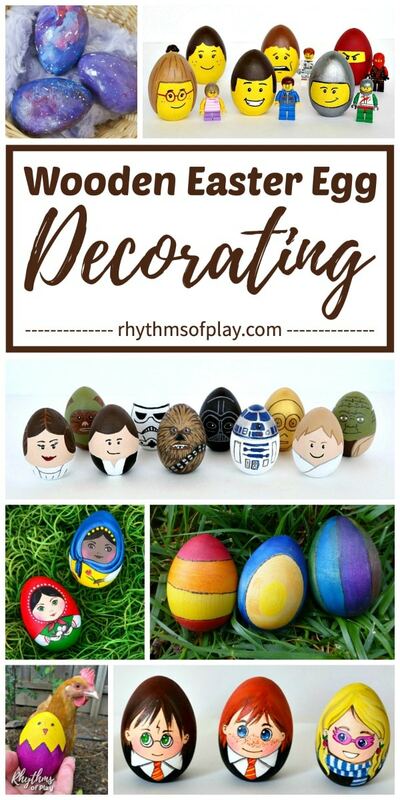 They were made using real hard-boiled or faux craft eggs, but I think that these awesome Easter egg decorating ideas would be perfect for decorating wooden eggs so I decided to include them below. It’s fun and easy to use paint pens to decorate wooden Easter eggs. 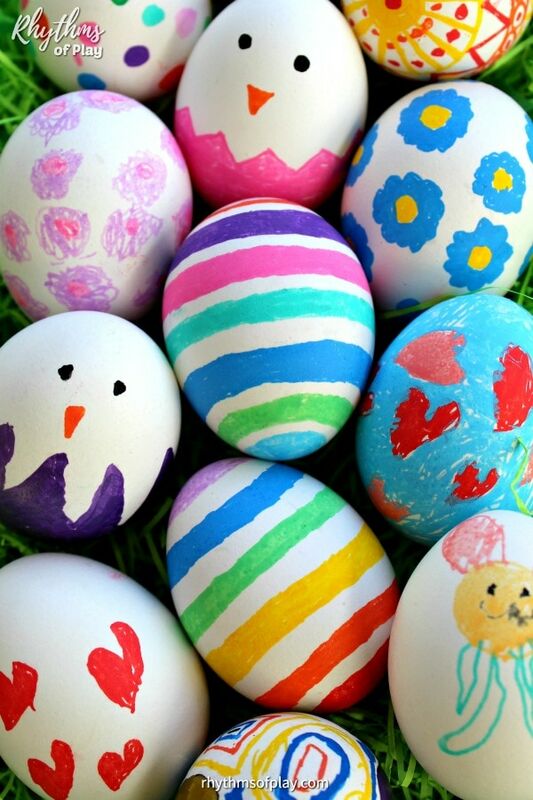 Try any of these fun paint pen Easter egg decorating ideas! 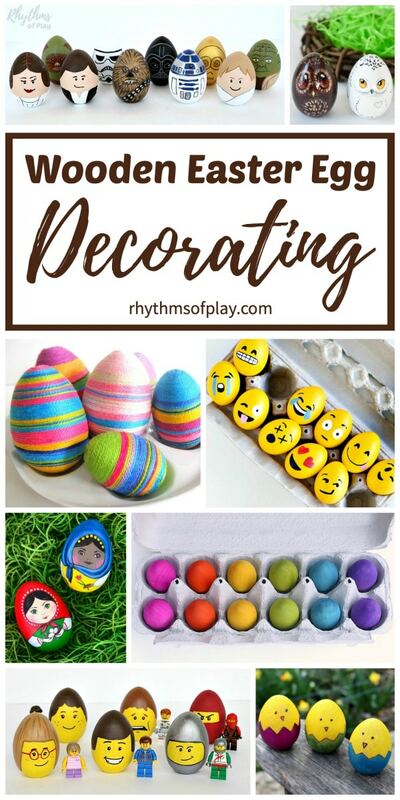 Pick and choose the type of Easter egg decorating supplies that you would like to work with from the wooden Easter egg craft materials listed below. DIY wooden egg craft ideas are a fun alternative to traditional Egg decorating for Easter and the Spring Vernal Equinox. You can also find gorgeous ready-made options to buy below. Decorating wooden eggs is a fun way to create Easter keepsakes that you can re-use again year after year. Kids love to hunt for wooden Easter eggs on Easter egg hunts as much as they like to find them in their Easter Baskets as a non-candy alternative. Wooden Easter eggs also make gorgeous spring home decor and look lovely displayed on mantles, in baskets, and on spring nature tables. Don’t forget to have a look at our spring bucket list and Easter traditions you can start with your family.